The problem: After early success and rapid gains on your deadlift, you’ve hit a plateau and progress has stalled. Your regular personal records (PRs) have slowed or stopped. The solution: Identify and overcome the weak link in your deadlift power – being able to lock out 500lbs doesn’t do you a bit of good if you can’t break it from the floor. As I have previously done with the Bench Press here I tear your deadlift down into the potential problem areas and recommend approaches to overcome them. It is possible that these strategies may overlap. Perfect your deadlift technique. You will have the greatest gains, and slightest chance of hurting yourself if you first focus on deadlifting properly. The deadlift is one of the most effective exercises on the books, but performed incorrectly it can have the greatest potential for injury. Build a solid foundation of strength. Before correcting weaknesses, develop the sufficient level of pulling strength. Work on your fundamental deadlift strength until you are at least an intermediate level on the deadlift with proper technique. 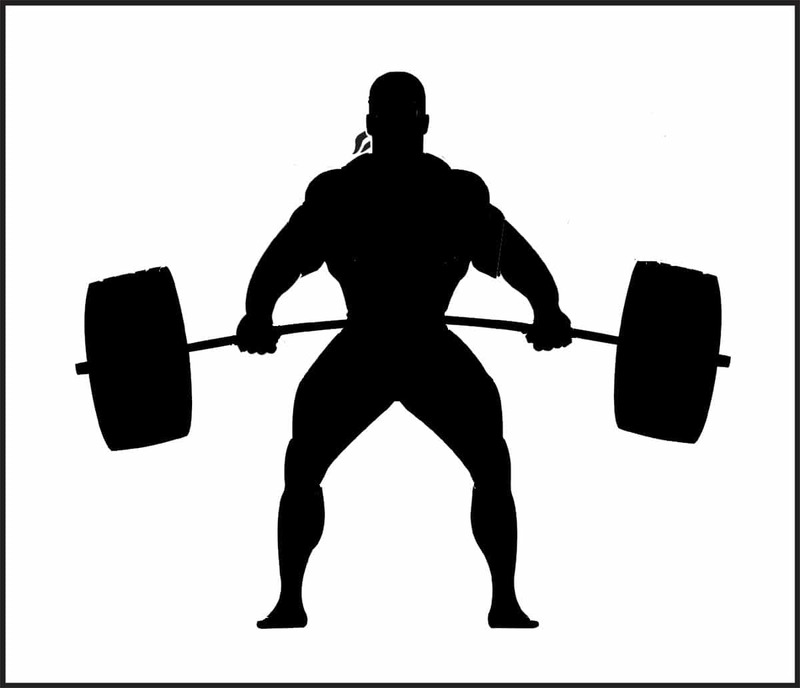 You can find a good Strength Standards for Deadlift at http://www.exrx.net/Testing/WeightLifting/DeadliftStandards.html. Now that your technique is fundamentally sound, and you have a solid strength base, let’s look at where your weak points may lie and how to improve them. 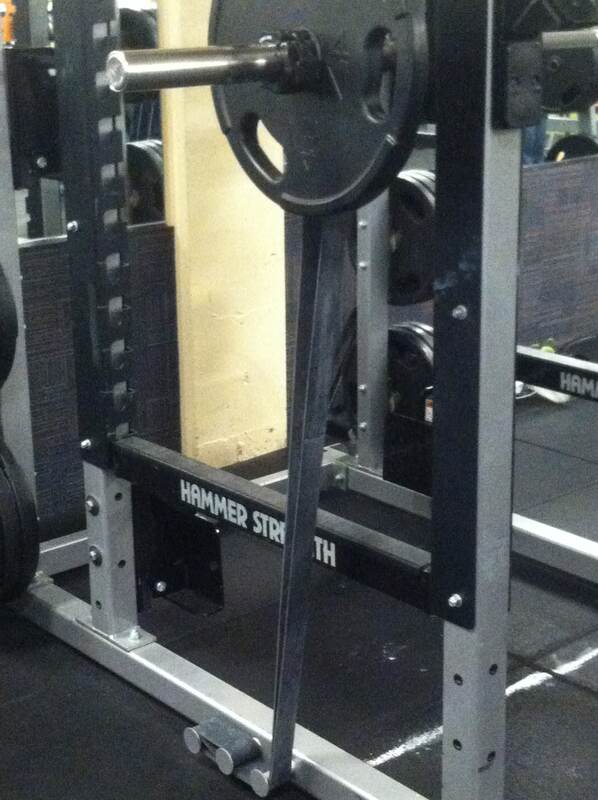 Breaking the bar slowly off the floor does not necessarily indicate significant weakness. 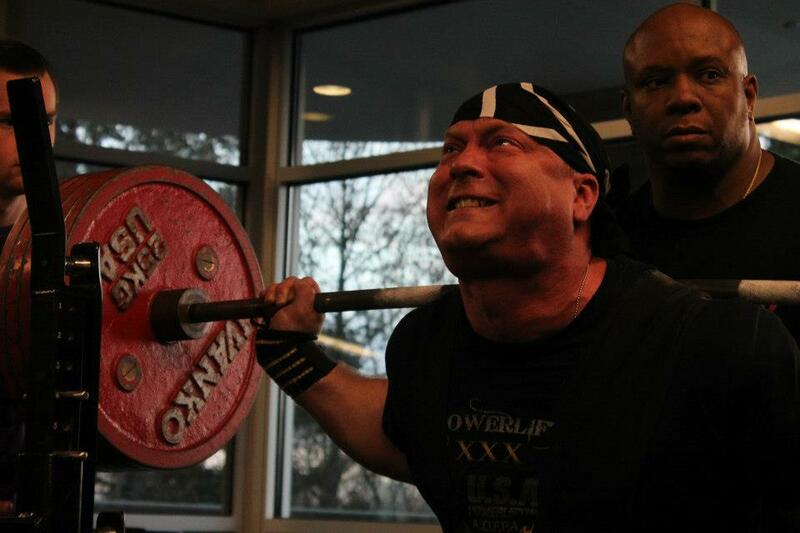 However, more explosive power off the floor inevitably leads to bigger pulls. Key Technique Points: To improve your power off the floor, perfect your setup technique. By thinking about the pull you are talking yourself out of it. You cannot fully fill your lungs with air with you core compressed at the bottom of the lift. Fill your lungs fully with air before dropping into the starting position. Big air in your lungs will provide intra-abdominal pressure protecting your spine, and giving you great stability. Tighten your upper back. Squeeze your shoulder blades tightly and drive them downward. Think about tucking them down into your back pockets. There is no stretch reflex in your first deadlift repetition. Work on creating a stretch reflex by dropping your hips quickly into the starting position, and immediately pulling explosively back up. Don’t squat to the bar (characterized by your knees coming forward as you drop your hips down), this leaves you loose at the bottom. Grab the bar and rock back bringing your hips down and your chest up. 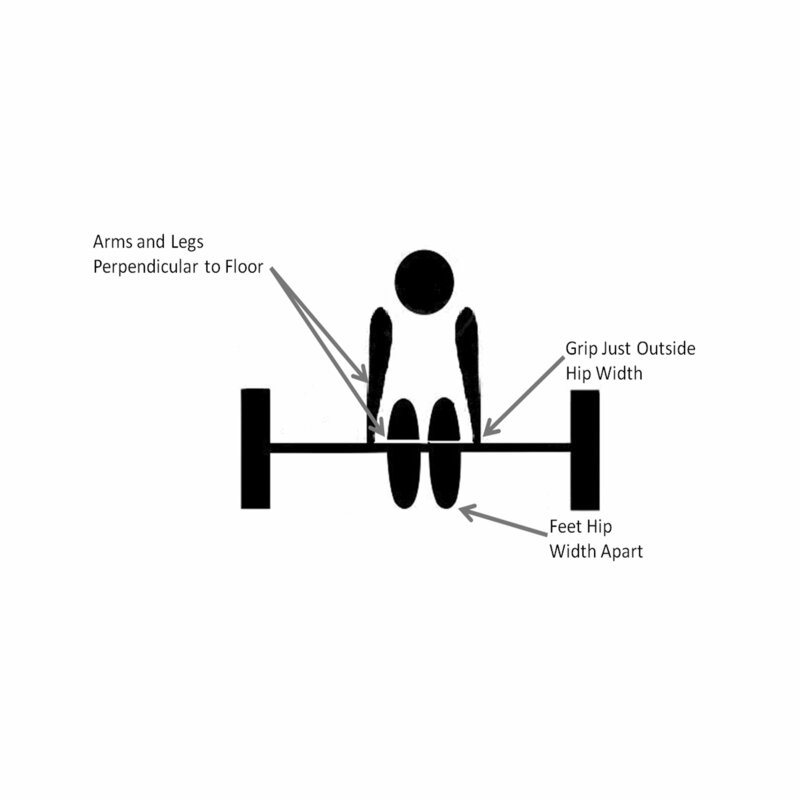 This allows you to stay tight and keep upward tension on the bar as you set up for the pull. Drive your hips forward hard to engage you quads in the initial pull off the floor. Strength Improvements and Training: Improving your strength in certain areas can help you build more power off the floor. 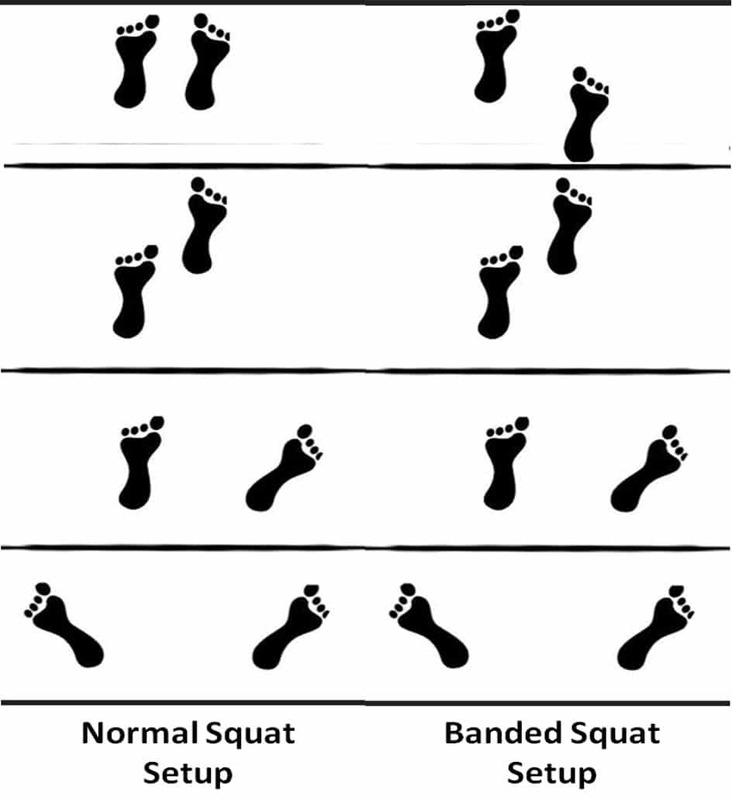 Quad strength: If you’ve properly built a solid foundation of strength this is likely not your primary issue but it bears mentioning. 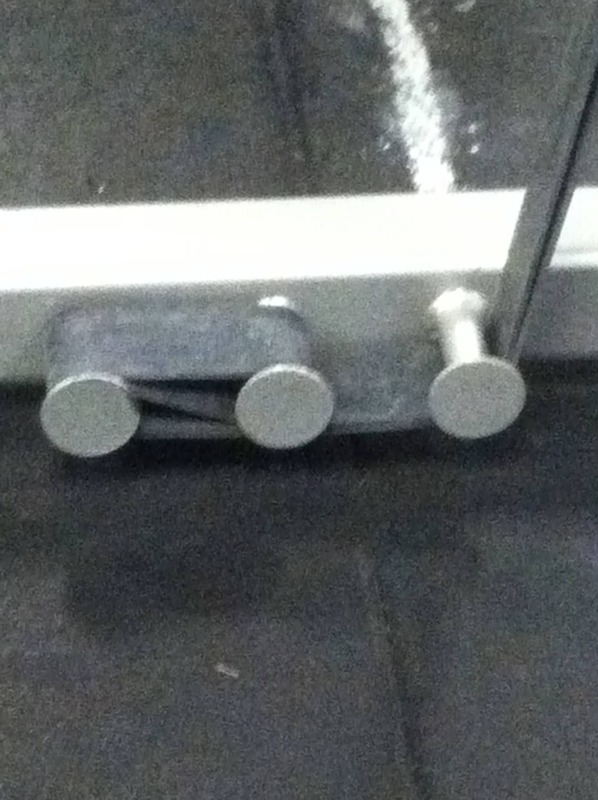 If your quads are weak initiating the pull off the floor may be more difficult. Stretch reflex: Train every rep without the advantage of the stretch reflex; start every rep in training from a dead stop. I use a technique I call the 3 count setup. Deficit deadlifts: Training your deadlifts from a low platform, or standing on 1 or 2 plates, can help you build low end power. 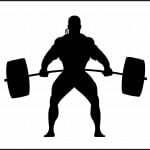 Pause deadlifts with a low pause: Pause deadlifts with a low end pause can help build low end power in your deadlift. Pause squats and box squats: Building low end strength in your squats with pause and box squats can carry over to power off the floor in your deadlift. Explosive Training: Improving the explosiveness in your lower body will help you to condition your body and central nervous system to engage all of your muscle fibers at once giving you a powerful initial pull. Concentrate on an explosive pull off the floor without ‘snatching’ or jerking the weight by pulling all the slack out between you and the bar and maintaining upward tension on the bar until you begin the pull. Speed Deadlift: Include speed, or dynamic, work in your training program with some type of deadlift variety. The weight should be light enough so that you can drive the bar up explosively while maintaining perfect deadlift form. Condition yourself to start your pull off the floor with 100% of your muscle mass regardless of the actual weight you are pulling. For example if you are deadlifting 50% of your 1 rep max (1RM) the bar should move twice as fast as when you pull your 1RM. 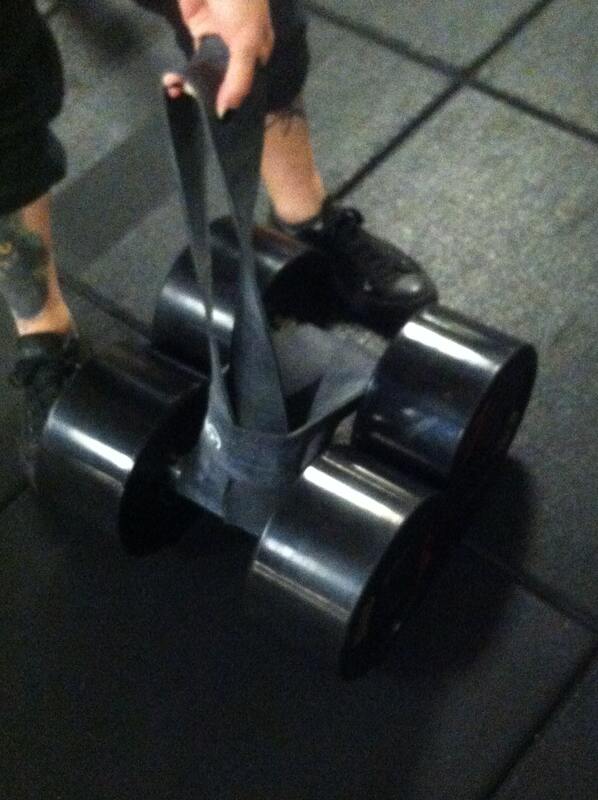 Accommodated Resistance: Using bands and chains in your deadlift training can help you build more power off the floor. Since the weight is lighter at the floor, you should concentrate on starting the pull off the floor with as much speed as possible, using this momentum to complete the lift as the weight increases. Let’s start with the proper definition of a deadlift lockout: standing fully upright, chest up and shoulders back, hips and knees fully extended (locked out). A strong lockout requires a strong posterior chain (glutes, hamstrings, and lower back), and powerful grip. Key Technique Points: Lockout technique in the deadlift requires you to be able to keep your chest up and drive your hips forward once the bar passes your knees. Squeeze your shoulder blades together tightly and keep your head and chest up. Engage your glutes at the end of the pull to lock your hips and knees out to finish the pull powerfully. Grip: Once your grip begins to slip, your body will tendency to stop pulling even if you had the strength to complete the lift. Here are a couple of techniques to improve your grip on the bar. Alternating over/under grip: Over-Under Grip: Grip the bar with one hand pronated (overhand) and one hand supinated (underhand). Which hand you use is your preference, but generally speaking it’s more effective gripping with your dominant hand pronated. Using the over-under grip prevents the bar from rolling out of your grip. Hook grip: Grip the bar with both hands pronated. Instead of wrapping your thumbs around the bar, lie them along the bar and wrap your fingers around your thumbs. This is a very effective grip, locking the bar in and preventing it from rolling or slipping out of your grip, but it can be exceptionally painful. Chalk: Be generous with the chalk, its usefulness cannot be underestimated. Every surface of your hand that touches the bar should be coated with chalk (and preferably only the surfaces of your hand, not the bench, the floor, the mirror…). Once you’ve chalked your hand nothing touches your hands except the bar! If your gym does not allow chalk, try liquid chalk. Gloves: The bar slides relatively easily across the surface of your pretty gloves. It does not slide easily across the surface of a well chalked hand (without taking chalk, skin and calluses along with it). Strength Improvements and Training: The muscles in your posterior chain are the primary movers to lock out your deadlift. With proper training you’ll find your deadlift actually accelerating once the bar crosses your knees. Grip Strength: Have you ever shaken a great deadlifter’s hand? Chances are they crushed your mortal hand. If you want a strong deadlift, you need a strong grip. Deadlifts: Use double overhand grip as you warm up until you cannot hold the bar any longer. Then use alternating grip without chalk until you absolutely need the chalk. Farmer walks: In addition to some great conditioning, farmers walks can do wonders for building your grip. There are other implements aimed at helping you build your grip strength, but my preference is grabbing a bar and holding on to it as you work through your training. 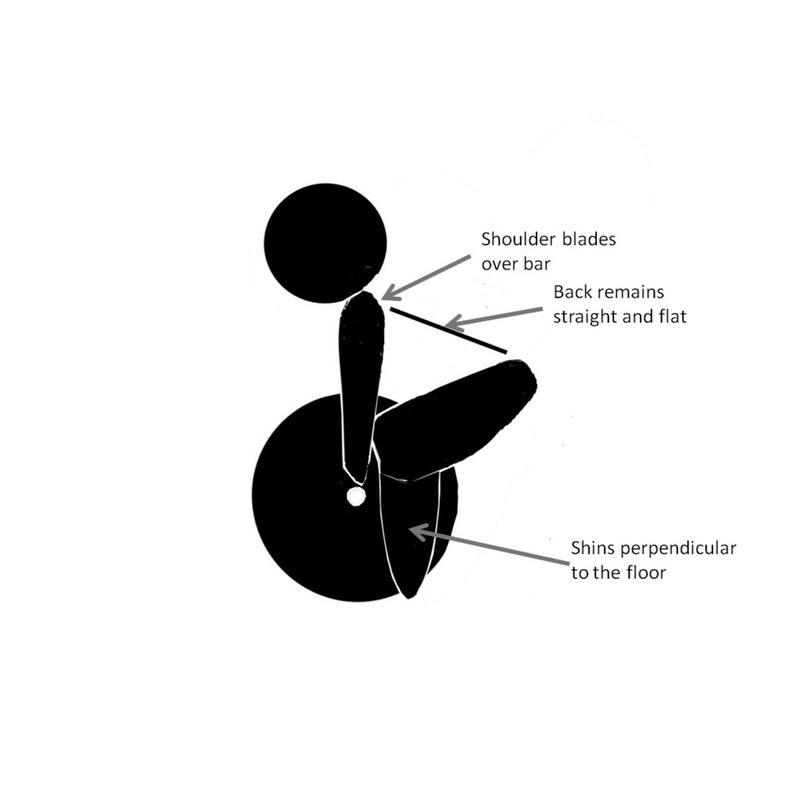 Upper Back Strength: Although your upper back is not actively involved in the pull, statically it needs to be strong enough to support the weight. As with your posterior chain, your back should get as much attention as your pecs in your weekly training plan. I also like to balance my training volume in the frontal or vertical plane (ie pull-ups) with volume in the sagittal or horizontal plane (ie barbell rows). Pull-ups: If you can complete more than 5-7 pull-ups, do them weighted. Lat Pull-downs: One of the few machines regularly in my training plan. 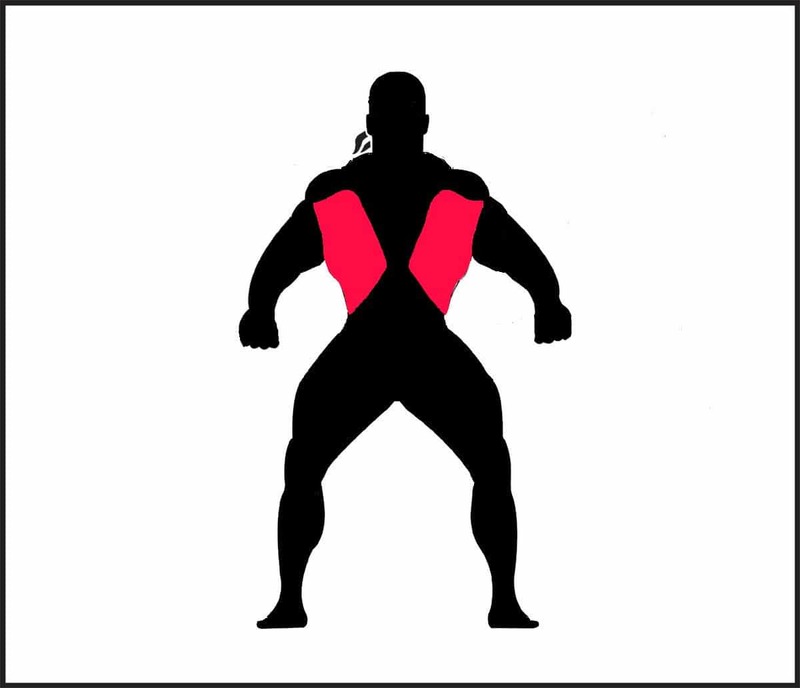 For more on back training, check out my Back Workout of the Week. Accommodated Resistance: Using bands and chains in your deadlift training can help you overload your deadlift lockout. Since the weight is lighter at the floor, you can lift weights that are heavier at lockout than you would normally be capable of. Rest: You will find that deadlifts work your entire body. You, therefore, use your entire body when deadlifting. If you are not allowing yourself sufficient recovery, and not promoting proper recovery (ie rest, diet, supplementation), your deadlift strength will suffer. If you find yourself struggling with a rep weight, back off, recover, and come back stronger. Take action: Assess where you have the greatest potential for improvement. Rework your training program with a strategy to eliminate weak links in your pulls, and get your deadlift progress back on track. Week 5: Week 5 modifies the intensity, increasing volume again. Volume is ramped back up for one week and weight is decreased. Improve pull-up strength by performing pull-ups prior to rowing exercises. Pull-ups: We’re working on increasing pull-up strength, so we start your back workout with pull-ups. What is a dead stop set barbell row? We’re using dead stop barbell rows this week to eliminate the use of any momentum and isolate your upper back. The reps should be tougher, and your back should work harder. Dumbbell Rows, Supported: As with the barbell rows, dumbbell rows will be supported to minimize any use of momentum to make the sets and reps easier. Hammer Curl/Lat Pull-down Superset: Use this superset to pre-exhaust (and hopefully completely exhaust by the end of the workout) your biceps so that your lats have to do more of the work. Complete your curls with proper form, and minimal use of upper body momentum to curl the weight. Concentrate on initiating the pulldown with your lats. Emphasis this week is on thoroughly exhausting your back and biceps. 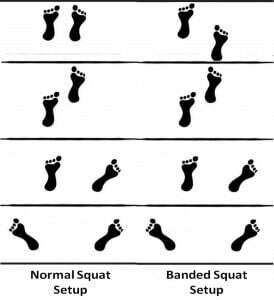 The volume is higher this week and by the end of your workout you should be completely spent. Week 4: Week 4 focuses on building back strength. Volume is reduced, and weight is increased. What is a cluster set? You will perform a set of 5 reps and rack the bar. Don’t unwrap your wrists or take your hands off the bar. Rest 8 seconds and continue the set, rowing to failure. Do not use excessive upper body momentum for today’s sets. Dumbbell Rows, Unsupported: Dumbbell rows will be unsupported. You should be able to row slightly more weight than doing them supported on a bench. Chest Supported Rows: Use whatever chest supported rowing machine your gym has. 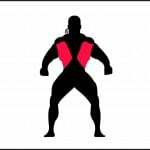 Goal is to eliminate any cheating, and emphasize just the muscles in your back for these sets. Concentrate on squeezing your shoulder blades together at the end of each repetition, pausing momentarily before lowering the weight again. Emphasis this week is on moving more weight and building strength. Volume isn’t as high, if you need to increase the intensity, shorten your rest periods. Week 3: We’re going to start increasing the weight this week. Moderate volume and increasing weight for both back and biceps to begin ramping up strength training. Volume this week will decline, along with a corresponding increase in the weight you lift. Dumbbell Rows, Supported: Dumbbell rows will be supported on the bench this week, and work up through increasing weight before finishing off with a drop set. Weight: Your goal is to start with the weight you used last week, if you can’t get 15 reps with this weight, you might want to drop the starting weight slightly. You will use a heavier dumbbell for each set. Drop Set: Row to failure, switch to the weight you used for set 1 and without resting row to failure again. Do the drop set first with one arm, then the other. Cable Rows: Increase the weight significantly on the cable rows this week; repetitions decrease and they are not supersets. Volume declines, but remains moderately high, while weights lifted should increase noticeably. You might not feel as smoked this week, but should have still completed a significant amount of work.